No poo - Baking soda hairwash. 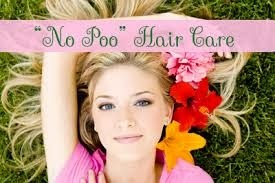 With the increasing trend of no-poo wash, I am also focused on finding out the new methods to avoid the use of shampoos. I have already shared Herbal Shampoo last month which has a lot of nutritional values in it, but, this method is a bit time consuming. 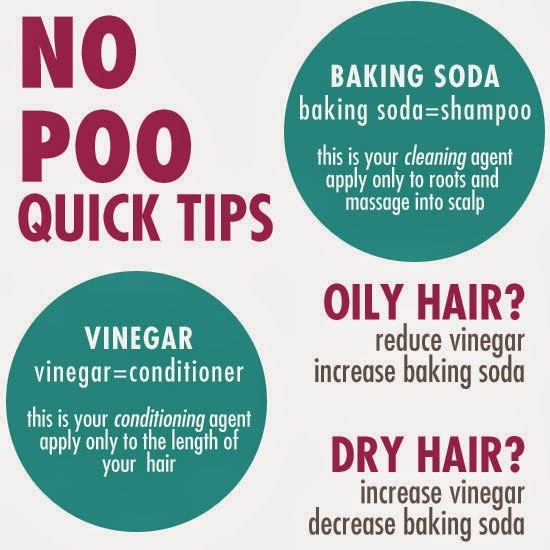 Today, I am sharing a very easy, cheap and simple no poo method. Baking soda is a very known grocery item that can do wonders if used instead of shampoo. How to use it as a shampoo? 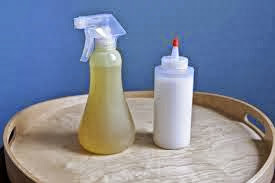 - Spray bottle or a squeeze bottle. Take a cup of Luke warm water in the bottle, add 1tbsp of baking soda to it and shake well. That's it ! Shampoo is ready for use. You can store it as well. Just spray it on your hairs and leave it as you do in case of your commercial shampoo. Baking soda is alkaline in nature so for balancing that you need an acidic conditioner. How to make a Conditioner? Same as for the shampoo mix 1tbsp apple cider vinegar in 1 cup water and shake well. Spray it on your hairs after shampoo, leave it for 3-4minutes, and then rinse with water. The amount of baking soda and apple cider vinegar may differ from hair to hair so you have to experiment it out the right amount for your hairs. Use this method once or twice a week as needed. Don't get upset and leave it after few washes as it needs time to balance your scalp oil, so be patient and use it at-least for 3weeks to get desired results.